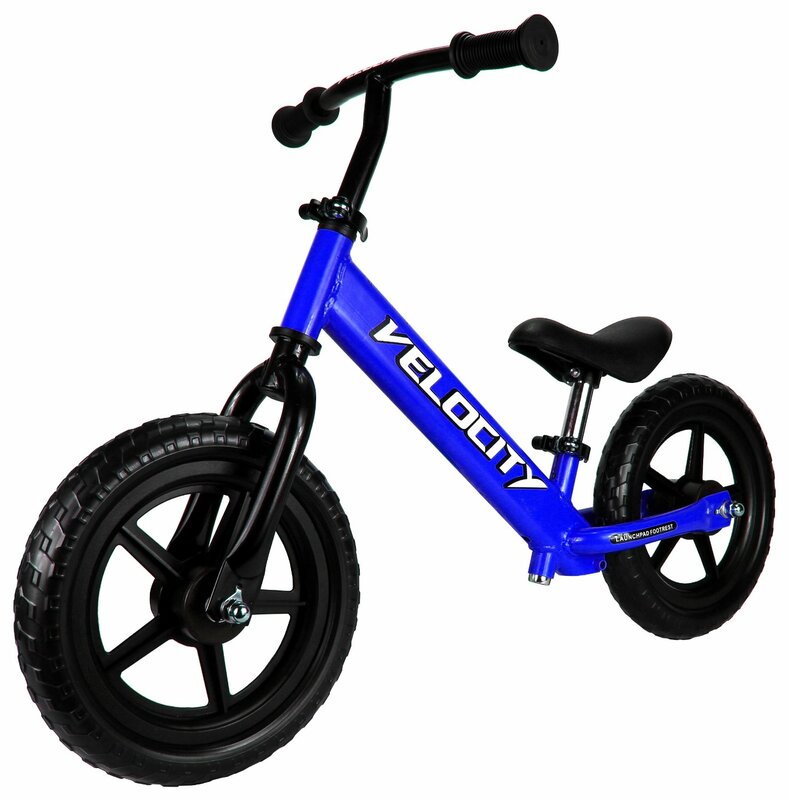 We just got his great no peddle bike from Velocity Bikes. This is a really great transition into riding a bike with peddles. My daughter was having a hard time with training wheels, they kept being in the way, would bend, break, etc. So we wanted to try out a different option and found this no peddle bike from Velocity. There are a few things I really like about this bike. First it’s so easy to put together and adjust. It has two places that have clips that you can open up adjust where it needs to be (or it if you assembling you can insert the pieces where they go) and then just push the clip closed. It holds really tight. We were able to get the bike put together in a minutes and as they grow it’s so easy to adjust teh seat and handles. Just open the clip adjust and close. I love that, no tools need! Also I love that this helps them learn that balancing skill needed to ride a bike with peddles. They can use their feet/legs to run and gain speed them lift their feet up and learn that balance that is needed but then can easily put their feet back down if needed. It’s a great transition process. It is a small bike, so make sure that you check the sizing and weight limit before purchasing it’s for a smaller child. In the video I have my six year old riding it because my grand-daughter wasn’t here but she is a little to big for it. So I would say around ages 2-4 or 5. Easy, Fun, and Safe Way for a Child to Build Balance, Coordination, and Confidence While Learning to Ride a Bike!